In Defense of Fuller House - NewRetroWave - Stay Retro! | Live The 80's Dream! The primary reason that some critics are responding so negatively to Fuller House is that they simply don’t remember how bad Full House was 98% of the time. The former TGIF slotted sitcom was a cultural phenomenon, almost more from reruns than original airings, but it was never the show to push the envelope in terms of television comedy. It didn’t smash convention and test boundaries like Seinfeld. It didn’t codify the misadventures of a bunch of angsty white twentysomethings like Friends. There was no universally likable lead like Will Smith who would go on to dominate film screens, and the show was never going to be as smart as Frasier. In all fairness, Full House never wanted to be what any of those shows became. It was a show content and secure in itself. It may have had a generic shtick, but it was a consistently delivered shtick. While 98% of Full House was admittedly not that good, neither was 99% of the non-notable sitcoms of the same time period. Full House is a show that is fundamentally about family and stability, and the appeal it still holds is largely based on this longing and nostalgia. What could exemplify this better than a show that never tried, nor pretended, to be something more than what it was? While Boy Meets World has had a reboot of its own, it was a show that had too much ambition to be the gosh-shucks-violin-hug that Full House has become in the American zeitgeist. Anybody criticizing Fuller House (by the way, that title has enough plays on words to be airing on USA, right after Suits) for being predictable in terms of plots and jokes is clearly remember the original through rose-tinted glasses and not paying attention to literally the first line of the theme song (delightfully covered for the new series by Carly Rae Jepsen). Whatever happened to predictability? Well, Full House lived by it, and now Fuller House is tapping your shoulder to show you that it can live by it too. No seriously. If Fuller House could physically touch you on the arm it would. As much as Full House new what it was artistically, Fuller House knows what it is in terms of being a product. It knows that it is cashing in on its own nostalgia. It is well aware of the idea of catchphrases, relying primarily on resurrecting and recontextualizing old ones. That’s what makes it postmodern, and I mean genuinely postmodern. The hipster counterculture of post-2010 has utterly ruined the word “meta”, and in doing so has trivialized the concept of something being postmodern. 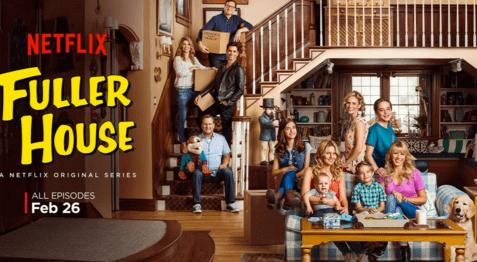 Fuller House is not a postmodern sitcom simply because it addresses that the characters are actors playing roles (highlighted most brilliantly with a few Olsen twin jokes and a blink-and-you-miss-it about the meaning of “You Oughta Know”), it is a postmodern sitcom because it plays the notion of a late 80’s / early 90’s sitcom completely straight, while fixing that against a world and toward an audience that has aged 25 years. The juxtaposition of an archaic structure on a modern world, being deliberately addressed to a modern audience, and being aware that the structure is archaic while with an uneasy balancing act between idealism and cynicism, all while understanding that this is a product based on nostalgia is what truly gives Fuller House its postmodern edge. The show is far from faultless. Some of the jokes should not have made the final draft of these scripts. A few of the returning actors are clearly going through the motions and collecting a check, and Becky as a character has been mostly ruined. Also, when are the Tanner’s going to start being decent to Kimmy? The jokes at Kimmy’s expense tend to fall flat, and while her husband is a funny character, there never quite seems to be resolution to the fact that he has cheated on his wife multiple times. It creates an odd bit of cognitive dissonance when the show seems to want her to forgive him. There’s also an egregiously cringey moment of cultural appropriation (Indian-themed retirement party complete with a sacred cow). It’s more than a misstep. It’s watching somebody fall on their face. As far as performances go, Andrea Barber is the real MVP here. She’s able to at once capture the essence of Kimmy from the original show while also showing how that character can be an insightful business owner. Jodie Sweetin’s Stephanie, being a younger character than D.J. and Kimmy, was more or less a blank slate for the writers to work with. Ultimately, they took her character a direction that works. There’s a scene in the pilot where Joey is paired with Kimmy, Jesse with Stephanie, and Danny with D.J. It’s a rather quick sequence of events, but it provides the audience with an understanding that those archetypes have been passed to these women. The child actors are harmless for the most part. Jackson, the oldest of D.J.’s brood, and Ramona, Gibbler spawn, can get annoying in their Disney channel-esque level of histrionics, but Max, played by Elias Harger, saves it by being the funniest part of any scene he is in. D.J.’s competing love interests are also highlights of the show. The way that they display such a level of respect to both D.J. and each other is refreshing. The show could have made a weird macho thing out of it, but these are professional adults in their mid-to-late-thirties. They handle it well. It becomes pretty clear early on that John Stamos served as a producer to the series. I think this was a misstep that tends to hurt television shows. When an actor is the writer’s boss, and not just coworker, things can get complicated. Some of his lines feel like either re-writes by someone who is not a writer or like they were written by someone carefully trying to not offend a superior. Stamos’ character And I swear, if I hear “have mercy” one more time I’m going to cancel my Netflix subscription. I would like to see less Uncle Jesse in the second season. The show would benefit from it, not necessarily because his character is irritating, but the way the writers are forced to handle him is. Fuller House is an old sitcom that was made in 2016. If you forget that, you will hate it. It is also not for children in the way that the original was, though I’m not certain why you would assume that. It’s worth at least a watch, but you made need to refresh yourself with an episode of Full House to remind yourself that it really didn’t have much to work with. 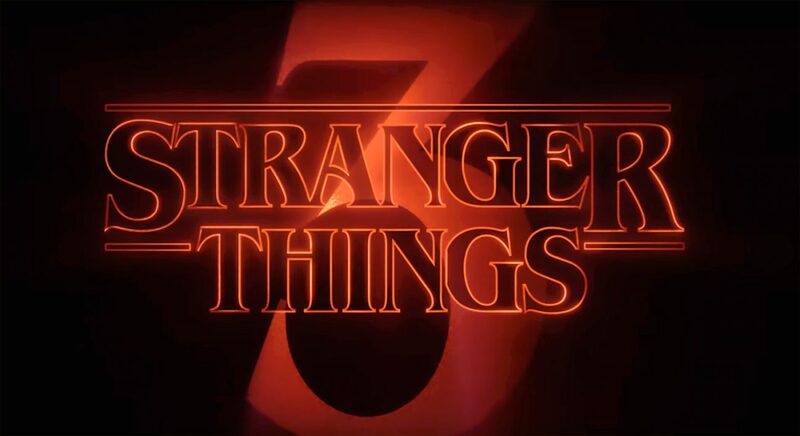 The Stranger Things 3 Trailer is Here!! !